Mountaineering hooks is made of spring steel and made by CNC machining. It is with precision cylindrical shape and polished smooth appearance. The hook bar adopts oil quenching technology to make hook hook soft and hard to achieve reliability. Three paws alone can expand or contract, but also easy to carry. 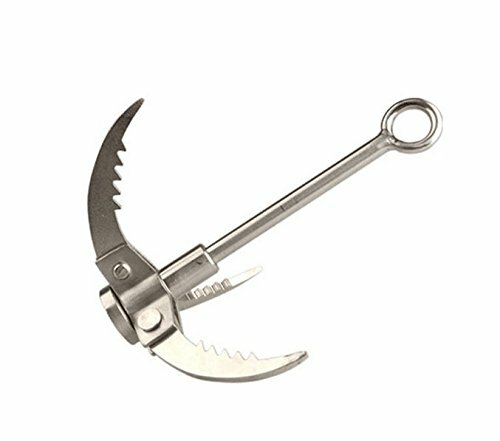 Mountaineering hooks can be applied to outdoor mountaineering activities, outdoor wilderness survival activities, outdoor adventure activities, and disaster relief and other aspects. It is also possible to self-defense. If you have any questions about this product by shpure, contact us by completing and submitting the form below. If you are looking for a specif part number, please include it with your message.